Chemutai, V., Low, P. African perspectives on trade and the WTO. GREAT Insights Magazine, Volume 5, Issue 6. December 2016/January 2017. Africa is a continent on the rise, with the potential to become the next economic centre of gravity. But it still faces significant development challenges. 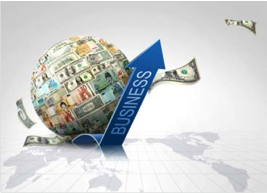 It is generally acknowledged that engagement in the global economy, through trade and foreign investment, is an indispensable accompaniment of progress. The nature of that engagement and the domestic environment from which it emerges are crucial to prospects for progress through development, growth and quality job creation. The continent remains of great significance to the World Trade Organization (WTO). No less than one quarter of the WTO’s membership is African, and seven of the 19 current candidates for WTO accession are from the continent. What happens in Africa will increasingly leave an imprint on multilateral trade relations. Therefore, it is important that the WTO works for and with Africa, particularly in tackling the economic, social and political realities facing the continent. History has repeatedly demonstrated that no economy can prosper without trade. Trade is both a reflection and cause of the health of the domestic economy. In the 21st century, supported by trade, Africa’s economy has grown at an average of 5% per year, outpacing global GDP growth by a significant margin. Ten of the world’s 16 fastest-growing economies are in Africa. In the last twenty years, Africa’s share of global production has risen by 30% and its share of trade by more than one-third. The continent’s share of world foreign direct investment has doubled. These expansion rates are built from a very low base. But they are indicative of an Africa on the move. In terms of the destination of merchandise exports, Africa’s trade is skewed against the continent. Only about 18% of Africa’s trade is with itself. The low level of intra-African trade represents a significant loss of opportunity. The continent’s core trade destinations for merchandise exports are Asia (China) and the European Union. Just as product diversification of exports is desirable, so too is greater geographical dispersion. Africa’s trade performance has been driven to a large degree by oil and other commodity exports. The commodity price boom fed trade growth. Recent price developments will reverse some of those gains. 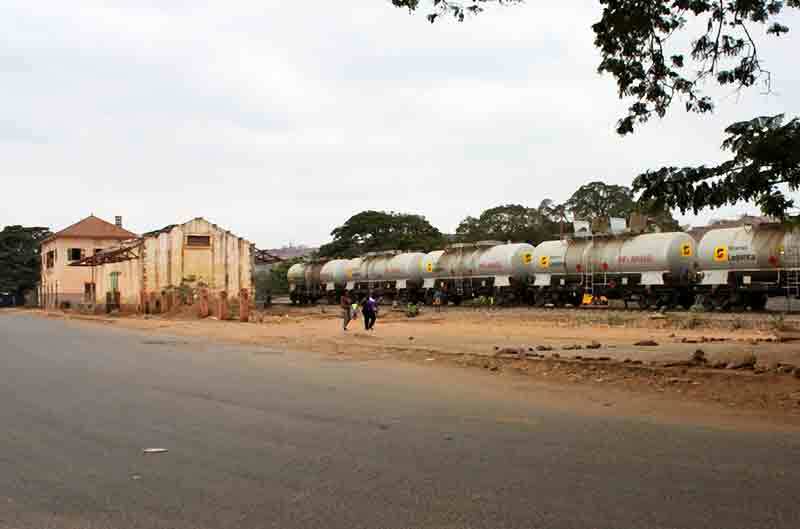 Commodity dependency in trade points to a structural challenge facing many African economies. They need to diversify into manufacturing and services, thus building greater economic resilience at home, more and better jobs, and trading opportunities abroad. Manufacturing and services provide vital conduits for adding more value domestically and regionally. Foreign direct investment remains critical in this regard. Significant trade and diversification opportunities have emerged in recent years with the development of vertically integrated production structures that span multiple jurisdictions. Research indicates that most African countries are already integrated in global value chains (GVCs) but mainly as suppliers of products that are processed outside Africa. However, Africa accounts for only 2% of global trade in intermediate manufactured goods. On the continental landscape, Africa’s regional participation in value chains is driven by Southern and North Africa, which at 78% together account for the lion’s share of the continent’s total value chain trade, while West Africa accounts for only 14%, East Africa for 5% and Central Africa for 3%. Endowed with an abundance of natural resources and an increasingly literate population, the continent has the potential to offer a lot more than primary commodities with minimal value added. It is worth noting that African trade is mostly carried out by Small and Medium Sized Enterprises (SMEs). Owing to the fact that SMEs employ 80% of the region’s workforce, they have a critical role in Africa’s integration in value chains. The International Trade Centre (ITC), which is fully dedicated to supporting the internationalisation of SMEs, has placed a spotlight on trade-led growth for SMEs through various projects. In 2015, it launched the Blue Number Initiative, an online networking platform similar to Facebook or LinkedIn for farmers, which connects a sustainability marketplace with other trading partners. There is also the ITC’s Ethical Fashion Initiative, which inserts African micro-producers into high-end value chains. Today, bags made in Kenya for Vivienne Westwood are showcased on catwalks in London and Paris, while cotton textiles hand-woven in Burkina Faso or dyed in Mali are distributed in the stores of United Arrows in Tokyo. These opportunities for component trade through participation in GVCs in both goods and services offer new scope for adding value domestically and regionally. The challenge is for local producers to become involved in a continuing process of upgrading and ultimately the establishment of home-grown, internationally oriented lead firms. Effective change calls for clarity of purpose, consistency, and a sound decision-making apparatus. Efforts must focus on deepening development, generating growth, creating employment and eradicating poverty. A consensus has emerged that policy neutrality does not exist. This is because even where an economy decides not to intervene in the market, it is effectively taking a policy decision. If there is no escaping policy, it makes it doubly important to ensure that policies are sound and conducive to progress. Too often, poor policy can become a millstone around the neck of growth and development. This can be for three main reasons. One is to do with policy design. Either through neglect or poorly formulated policies, costs in the economy are needlessly increased. A second problem may be poor implementation because of a lack of adequate resources, or adequately trained resources, which leads to inefficiencies and added costs. A third problem is corruption, which not only adds costs to production in a variety of ways, but diverts significant resources from development and, more seriously, fractures the moral integrity and the legitimacy of elected leaders to govern. It is within the powers of governments to address all these shortcomings and make their own policy-based contribution to productivity and growth. In broad terms, policy reform may assume a number of different forms. Some policies are enabling or facilitating, in the sense that they remove what might be considered inadvertent costs of doing business. Trade facilitation, customs reform, streamlined regulation, and investment in human and physical infrastructure are among the instruments of enablement. A second kind of policy reform involves removing or adjusting policies deliberately put in place in pursuit of specific economic, political or social objectives. These policies may have become outdated in terms of their original purpose or they may reflect errors of judgement, such as an excessive reliance on import-substituting industrialisation, which was a feature of early industrialisation efforts in some economies. A third reform genre involves the introduction of new policies. New policies may respond to changed circumstances or may reflect past neglect. Like anywhere else, policy change in Africa is bound to involve a combination of these three kinds of change. The idea that prosperity born of growth and economic progress is assured with as little policy intervention as possible is more ideological than scientific. But it is also clear there can be too much intervention, whether as a result of ideology or wrong-headedness, leading to flawed policies. A government’s reasons for intervention often stem from the external consequences of transactions that are unpriced or incorrectly priced in the market. These so-called externalities may have good or bad consequences, but they both warrant intervention. This discussion is related to so-called ‘industrial policy’, which has sparked fierce debates, often with a certain ideological overlay. There is nothing wrong in principle with governments deploying policy levers to change resource allocation decisions in an economy. Virtually all governments deploy such intervention under various guises, sometimes (but not always) to good effect. The WTO does not prevent governments from pursuing well-designed and effective industrial policies. Scope exists in multilateral trade rules for the use of industrial development policy for faster poverty-reducing growth, job creation, promotion of public goods, efficiency in resource allocation, sustainable development, and intervention to reverse market failures and realise positive externalities. The challenge is, indeed, to do it well. This means that the objectives must be clear and the policies must be well designed for efficiency and monitored. Adequate government capabilities are a prerequisite for the successful conduct of industrial policies, as is adequate information and analysis for understanding cause and effect. In Africa’s case, as elsewhere, plenty of scope exists for improving and streamlining the regulatory framework for doing business. In other cases too, there will be justification for lessening the impact of certain interventions. It is argued in some quarters, for example, that import tariffs tend to be too high in some sectors. The African continent is as diverse as it is similar. Its 54 economies are at different levels of development with disparate regulatory frameworks and governing ideologies, but face largely the same challenges. 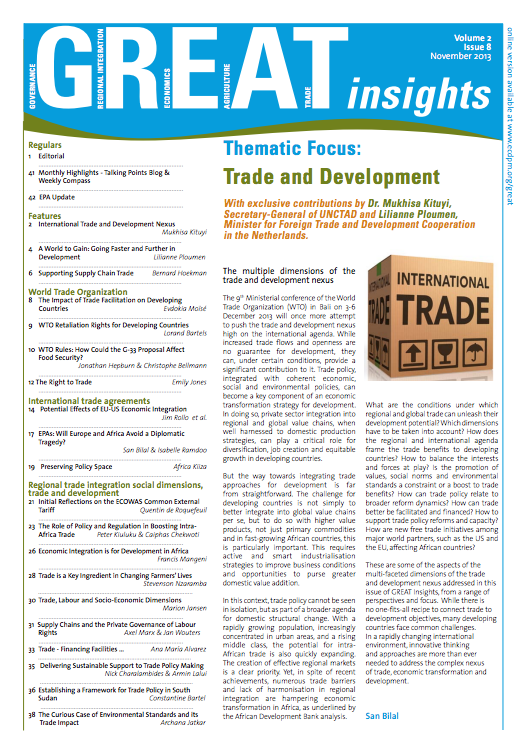 In addressing the continental challenges, African policymakers emphasise the importance of the right kind of engagement with the multilateral trading system to support development and poverty eradication, and the challenges of fulfilling the UN Sustainable Development Goals spelled out in Agenda 2030. They recognise the need for structural transformation, with an emphasis on industrialisation, African economic integration and the need for a WTO that supports African industrial development. Awareness has grown rapidly in recent years that trade and investment relationships among African economies are poorly developed, and big unrealised opportunities exist. Moves are afoot to eradicate some of the barriers to exchange across the continent, be they of a fiscal or regulatory nature. These are the ideas driving regional integration initiatives. Through ‘smart sequencing’, Africa needs to be more ambitious and bold on the home front, increasing the scope, streamlining the regimes and accelerating the full implementation of agreements such as the Tripartite Free Trade Area Agreement (TFTA) and the Continental Free Trade Area (CFTA). These regional initiatives will need to be supported by enhanced continent-wide infrastructure in order to facilitate exchange and lower the costs of transport and communications in particular. Just as many African economies have tended to maintain relatively high tariffs on many products, they have been reluctant to commit to maximum tariff levels through WTO ‘bindings’. Where there are bindings, these are often set at levels considerably higher than the relevant applied tariffs. Several reasons can be adduced as to why this may be so, but it does deny the economies concerned an opportunity to use internationally negotiated commitments as a means of locking in policy. 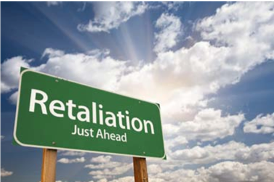 Apart from any gains economies might enjoy as a result of tying down their policy commitments through international obligations, they can also rely on the WTO’s system of rules for protection against discrimination and other non-conforming policy behaviour. These possibilities help to level the playing field and ensure a greater degree of certainty regarding the external policy environment. Many African economies did not accede to the General Agreement on Tariffs and Trade (GATT) – the WTO’s predecessor – through negotiations. Rather they were ‘successor’ members of the organisation following their political independence from colonial powers. Those economies in Africa and elsewhere that accede to the WTO through negotiations are frequently required to undertake far-reaching reforms. They benefit from such reforms in various ways, including the enhancement of the capacity to compete. It is argued that African economies that have not been through the accession process might consider adopting long-term reform programmes similar to a WTO accession package. Africa is on the brink of an economic transformation, and the depth, quality and speed of that transformation will largely depend on policies, the way they are implemented and the quality of the governance implementing them. African economies, like many others, could do much to create a more conducive macro-environment with better infrastructure and less cost-ridden policy conditions. Initiatives in these directions would foster trade, development and growth, not least through strengthened intra-African links. Commitment to openness based on smart policy design and administration is critical for the structural transformation of Africa. Core elements of WTO accession packages can be a blueprint for long-term policy reform. The WTO can also serve as an anchor for coherent domestic policy and a guarantor of consistent and non-discriminatory policies on the part of trading partners. There is also need for a collaborative engagement between the African private sector and the WTO, with the goal of ensuring that the impediments to the participation of SMEs in global trade are not overlooked. Trade facilitation remains fundamental to economic progress, as it not only enhances stability and predictability, but may also boost foreign investment and job creation. This article draws on topics presented in the 2016 WTO book ‘African Perspectives on Trade and the WTO: Domestic Reforms, Structural Transformation and Global Economic Integration’ co-edited by Patrick Low, Chiedu Osakwe and Maika Oshikawa. This publication is a product of the Fourth China Round Table, which took place during the WTO’s Tenth Ministerial Conference, held in Kenya in December 2015. Supported by independent expert analyses, the book proposes a range of African perspectives on the role of trade, the WTO and its future agenda. 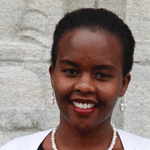 Vicky Chemutai is an Economic Affairs Officer in the Accessions Division of the WTO and a co-author of the above mentioned publication. 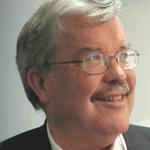 Patrick Low is a visiting Professor at the University of Hong Kong and a fellow at the Asian Global Institute. He is also co-editor of the above mentioned publication. 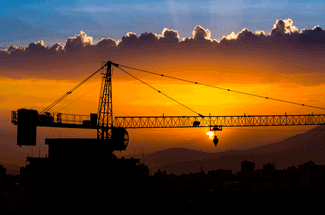 Photo: Sunset on the rising city of Addis Ababa. Credits: Jean Rebiffé via Flickr.com. 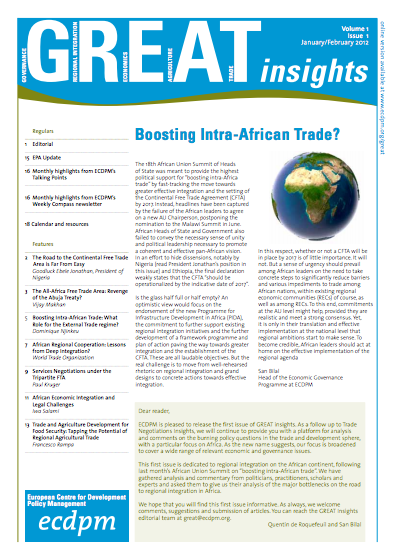 Trade facilitation in the Bali Package: What's in it for Africa?